The global financial crisis has seen many nations sliding into a full-blown recession, accompanied by a sharp drop in spending. But some nations have managed to ride out the storm almost unharmed. Germany has managed to stay out of harm's way, with the nation's gross domestic product rising at a moderate pace. This page collates DW's recent content on who has been or has not been affected by recession recently. Turkey's economic recession and the government's inability to re-start growth are the prime reasons why voters in big cities have turned their backs on President Tayyip Erdogan, says economist Erdal Yalcin. A number of factors could make you believe that a recession is just around the corner for the EU. 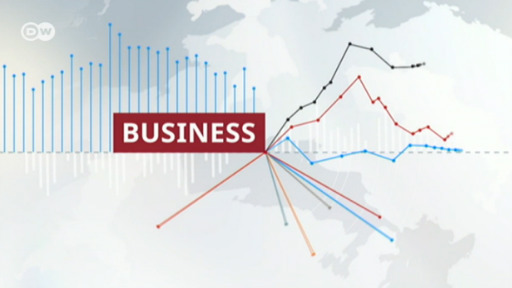 Berenberg Bank Chief Economist Holger Schmieding tells DW that among the risks at hand,Brexit is arguably top of the list. Turkey is amid local elections for control of the country's main cities. President Recep Tayyip Erdogan is leading his AK party's campaign to tighten his grip on power. However, with Turkey sinking into recession this month's election could yet prove to be the biggest challenge to the president. Dorian Jones reports from Istanbul. Slow global trade, auto industry troubles and low water on the Rhine all contributed to a final-quarter growth of zero percent, meaning Europe's biggest economy dodged a technical recession by the smallest of margins. The World Economic Forum has launched in Davos amid fears of a global slowdown or even a recession looming larger over the gathering of the rich and powerful. DW spoke to WEF President Borge Brende about growth in 2019. The new figures are another bad sign that growth is flagging -- and that recession could be on the horizon. An exciting year is behind us in terms of economic developments. And the new year won't be dull either. But will we finally see the end of the long upswing? There's good reason to believe so, DW's Henrik Böhme writes.